MY JULY 22 POST ‘THE LONG AND SHORT OF IT’ MUST HAVE BEEN REALLY SILLY. One reader put a note on it, asking everyone to read, but did not reblog it. No one else commented. I said that I wrote a short piece once because no one reads long posts. In the process I seem to have, inadvertently belittled other short blogs (“of just a few words”). How can I write against poems? My first byline in print was for a poem. Ridicule writing short tales or on ‘prompts’? Was not 58 years of writing for print just on assignments or on what was asked? And “three line pieces” cannot be wrong. Editors keep on asking for fewer words and all through I had to keep cutting down. Writing long, verbose pieces is easy; just pour it out. Writing short is difficult. People not reading? Of course, if it is worth it would be read. Lack of comments? 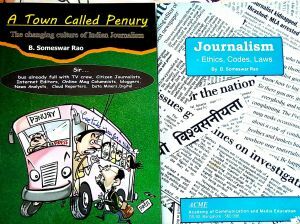 In my book, I mention an instance of journalists in a particular city being angry with Sharad Pawar, who was then Chief Minister, for some reason. In a Press conference, after his initial remarks, there were no questions, except to ask if it was all he wanted to say before they dispersed. An astute politician, he understood and sent an aide to all agency and newspaper offices to settle the issue. All I can say, long or short, let us keep saying. You write to express, not for ‘like’s or comments. Or stats.